I just got back from our vacation in Taiwan. Though it was tiring (we changed hotel almost every day except the last 3 days) but it was fun and educational. For the uninitiated, Taiwan is an island (with some other smaller islands) which is located in the Asian continent, near to Hong Kong and Mainland China. We spent 12 days touring around the island and I have noticed some interesting things about Taiwan. 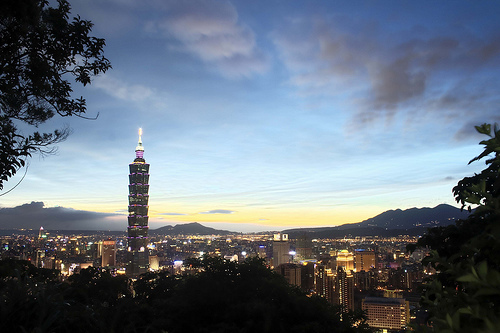 But for today, let me share with you a few fascinating facts about Taiwan. Please note, by giving my thoughts, I am not in any way degrading or criticizing the country. I merely share my views. Betel chewing is still as popular as before as one can see stalls selling betels everywhere in Taiwan. It is easy to spot a betel chewer. Look for one with red, bloody teeth. Toilets are called make-up room. Even for gents. Though I don’t have the official figures but I feel Taiwan has the most B&B’s (it’s called minsu 民宿) in the world. When eating out, it’s common not to order drinks. Instead Taiwanese people like to drink soup when having meals. Taiwanese are meat lovers: from chicken and duck to beef and lamb. They don’t spare the head and feet. Another favorite of theirs is meat floss. Though their culture and way of life are different, but fundamentally we are the same. We have common objectives and goals. We are from different countries and backgrounds, but the fundamentals of parenting is the same. PS: If the end of the world prediction is not true, I’ll see you again next week.